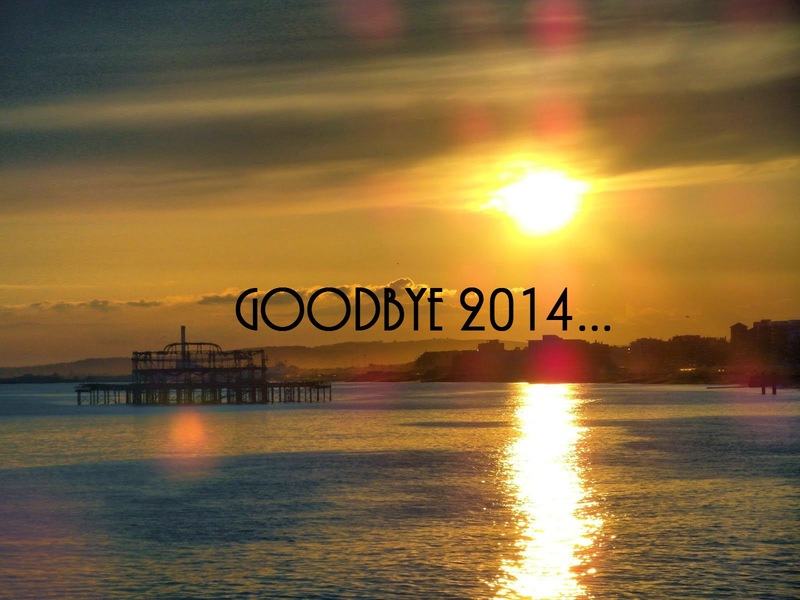 It’s the end of 2014 and what a year it’s been! This year hasn’t been the easiest for me but I’ve learnt a lot about myself and have had a lot of fun in doing so. 1. I started my blog and YouTube channel! I’ve wanted to start blogging for years but never had the courage to. I always worried that putting my life and opinions out there would cause too much stress but it’s genuinely one of the best things I’ve ever done. Although I don’t blog or vlog as much as I’d like to, it makes me so happy when I do, and the response from you guys is great! 2. I passed my first year of university! Not many of you know, but I hate university. The course is badly taught and the whole ‘uni experience’ hasn’t lived up to expectation but I got through the first year and am working my way through the second. Only a year and a half left then to join the real world. 3. I moved into my new house at uni with some of the loveliest people I know! It’s so refreshing living with people you get on with really well. In halls, we were all sort of thrown together and expected to be friends with everyone which never works out perfectly. At least now I’m living with people I know and trust. I’m not saying we live in perfect harmony… We argue far too much but that’s because (as clichéd as it sounds) we’re like sisters. 4. I know where I want to live after uni! Living in a dire city makes me realise quite how much I want to live in Brighton. It’s always been in my mind but my disdain for where I live at uni makes me very determined to do well in life so I can live where I want. Everything has been put into perspective. 5. I love my family! Before starting uni, I had problems with some of my family but now I miss them so much when I’m away. Distance definitely makes the heart grow fonder and I have a new found appreciation for every member of my mental family. They’ve helped me so much and I know that they’re always only a phone call away. 1. I’m going to America! At the end of January, my brother and I are travelling to the USA to visit my dad’s side of the family. We’ve never really met any of them before (not since we were about 2 anyway) so it’s going to be quite interesting and exciting! 2. I’m going to be blogging more! I don’t blog half as much as I should. I blame it on work and university taking up all of my time but in 2015 I’m going to focus more on it and spend more time developing my lovely little blog. I’m also attending more blogger events and working on my YouTube channel. 3. I’m turning 21! In May, I’ll officially be an adult. It’s my last ‘milestone’ birthday for a long while so I want to make it one to remember. That means lots of partying, time with my family and just having fun! It is a bit depressing that these years are going so quickly but onward to better things! 4. I’m going to get fit and healthy! Now I say this every year but this year I mean it (I also say that every year…). Instead of dieting though, I’m merely changing my eating habits and having fresh fruit and veg more, with a ban on fast food. I’m also giving up dairy (apart from when I go to America cos I want to try all the funky chocolate) so hopefully I won’t be feeling so ill all the time and will help me lose some pounds. 5. I’m going to be a nicer person! I’m not horrible, but this year I want to be a better person. I’m quite negative about things so I want to change that and be more positive. I also need to get out of the habit of saying ‘I have people’ because they’re not all bad! If anyone works in retail, you’ll know how hard it is to appreciate the human race but I’m going to try my very hardest to be nice to and about everyone! So there are a few things I’m doing or hoping to do next year. Not resolutions as I never keep those, more just things I hope to achieve. How have you found 2014? What are you looking forward to in the new year? Let me know in the comments! Happy New Year everyone! I hope it brings everything you wish for and thanks for all your support this year!